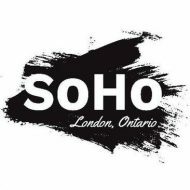 Many artists, musicians, and cultural groups call SoHo home. http://www.dancestepslondon.ca Dance Classes for Ages 2.5 to Adult. http://dickandjaneart.ca The artwork of Corinne Garlick and Peter Karas. http://thehubinlondon.blogspot.ca/ Music, Dance and Art Classes for the community.